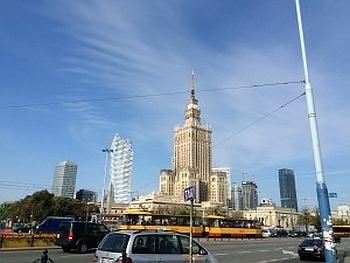 Warsaw, in contrast to Kraków, is an extremely busy city. The streets itself in some regard remind me of New York City, packed with traffic and the sidewalks packed with people. On our first evening in Kraków I met up with a genealogy colleague, Grazyna Rychlik whom I met in the Boston genealogical research program. (…)After dinner we went back to the hotel bar to have a few drinks. Suddenly I felt a tap on my shoulder and it was my cousin Gienek, who works in Warsaw. He had come to visit us! We plan to spend the following day with him and his wife. On our last day in Poland, Gienek gave us a tour by car of Warsaw as it was raining, finally. I commented that it was Poland crying because I was leaving, something Gienek had said to me three years ago when the same situation happened. (…)The train itself was extremely clean and very comfortable. They can get up to speed of around 125 miles an hour. In this particular train I don’t think we went past 60 or 65 mph. I would definitely use trains in Poland to go from point A to point B for long distances. You get to see a lot of the Polish countryside by taking a train. (…)We grabbed a cab and took it to our hotel, the Polonia Palace, without realizing exactly how close we were to it. Looking at a map of the city, it looked like it was a ten block walk to the hotel. At this point in our trip, we were both exhausted. With the traffic that we were seeing, crossing the street with lots of luggage wasn’t an option. So we took a cab and found out it was only three blocks away. If nothing else we can say we took a cab in Warsaw. (…)Pawel picked this up again to take us on the pilgrimage to see the Black Madonna of Częstochowa. I’m not a very religious man, and I don’t believe in coincidences. As I mentioned earlier, my maternal grandmother was the very reason why I was so interested in Poland and my Polish ancestry. Our date to take our pilgrimage was not set in stone and decided last-minute. September 7 was the 30th anniversary of my maternal grandmother’s passing. How appropriate that our pilgrimage occurred on this date! 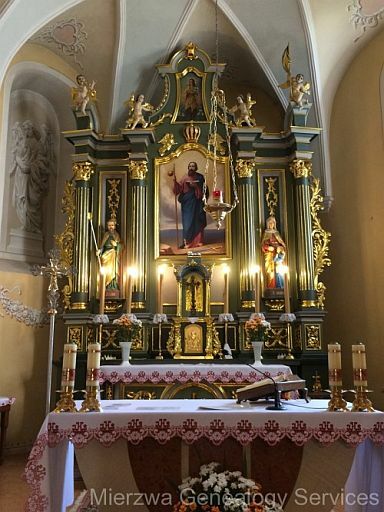 This weighed heavily on me as we toured the Jasna Gora monastery grounds. 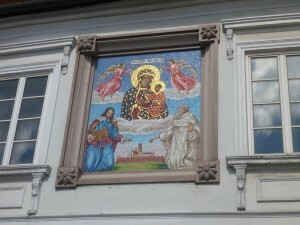 Taking a tour of the church and seeing the opening and closing of the Black Madonna was an incredible experience. There are lines of horse drawn carriage rides available around the square. They take you for quite an extensive tour around the city. (…)The day after we arrived in Kraków I finally got the opportunity to meet Zenon from PolishOrigins. I’d spoken with Zenon a few times during our trip, as he called to check to make sure that everything was going well with our customized tour. Zenon had been on tour with another group for the first part of our trip. He had only one day off and took the time to come to meet Denise and I for dinner. It was our first experience dining in the Jewish district of Kraków, and the food was absolutely amazing. His visit spoke volumes to us in regards to the PolishOrigins business. You don’t find many tour companies whose owners take the time to come to meet you and keep in contact with you the way he did. PolishOrigins definitely strives to make sure that your trip expectations are met and/or exceeded. 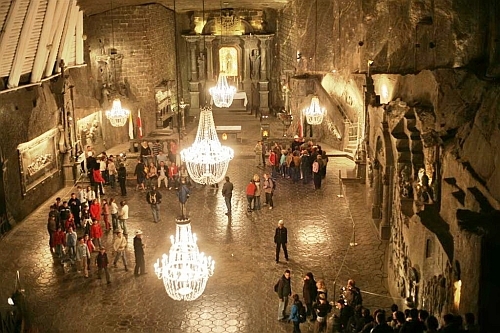 (…)We also took a tour of the underground tourist route. It is the old storage for the market square. They couldn’t keep all their wares in the square, they had to store them somewhere. Each tent or shop had their own storage area. It’s quite an extensive walk underneath the city. If you wandered in alone, you could easily get lost. It was quite an amazing experience, and something I’ve never done before. If you’re ever in Sandomierz, I would highly suggest taking this tour. 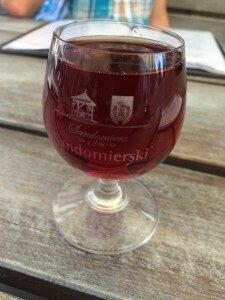 (…)While having lunch at Pokusa Restaurant, Pawel mentioned that Sandomierz was well known for its mead. He suggested that we try it. I can tell you I was a little apprehensive because it became a running joke it was going to cost an arm and a leg, but for 20 zloty it was well worth it. I’ve never tasted anything like this before in my life and I can tell you if you ever have the opportunity to try Sandomierz mead, do it, you will not regret it. Unfortunately, we discovered after the fact that you cannot purchase it any where else other than in Sandomierz. It’s that exclusive and difficult to get. 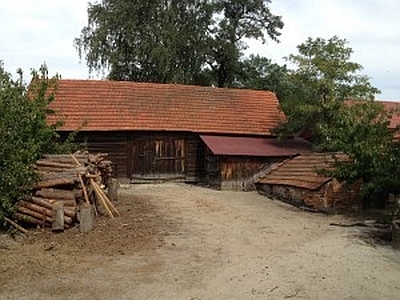 (…) If you’re visiting Poland, and know where your ancestors came from, I would highly suggest visiting those locations. I spent a considerable amount of time walking around Pysznica on foot, shopping in the local stores, talking with the staff and dining in local restaurants. Wherever I’m there, I try to visit the family farm that my ancestors have owned and lived on for the last 400 years. That itself is surreal, knowing that many generations of my paternal family walked that very ground. Prior to leaving, it became somewhat of a joke between my cousin Gienek and I stating ‘Don’t you know who we are? We’re Mierzwa’s, we ruled this town!’ We were able joke and say that because at one point in time, our ancestors were actually mayors of the city. Poland Trip 2015. Part 6. 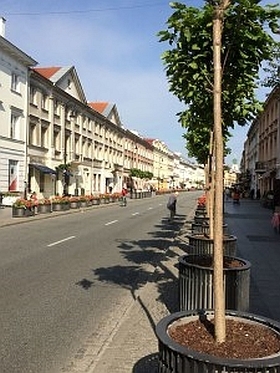 Oleśnica and Pacanów, Świętokrzyskie. Poland. (…)Suddenly he realized that I was a direct blood relative. He couldn’t believe I had come all that way to find and meet him! He knew there was family in America, but when my grandfather passed in 1961, communication was lost and the family had no idea how to locate us. Now, fifty-four years later, here I was. We spent a better part of the afternoon getting to know one another, exchanging family stories and history and dining on some amazing Polish food. (…) Later in the evening I made a Skype call to my mom and her sister in the United States, so they could meet their Polish cousins. My mom and aunt both immediately started crying. They couldn’t believe that I had found my grandfather’s family. (…)It’s a surreal feeling being in a church that was built in 1661. As we walked inside, the caretaker pointed out certain areas of the church to us and gave us a full tour. You could tell he was proud of the church and of the area. Zbignew asked him about my family, and while he did not recognize the name from the area, he did know that there were some Glowniaks in Pacanow and Olesnica. We spent almost an hour getting a tour of the church and its surroundings. One thing he pointed out to us as we were standing outside, was a machine gun that had been attached to the church tower during World War II. It was left there as a reminder of what had happened. We thanked the caretaker and I was so touched that what he had done I asked if I could take a picture with him. He was shocked and graciously accepted. We thanked him again and headed out towards Olesnica.